This week we talk about the ladies of eight but not just that TWINS of eight with completely different taste! 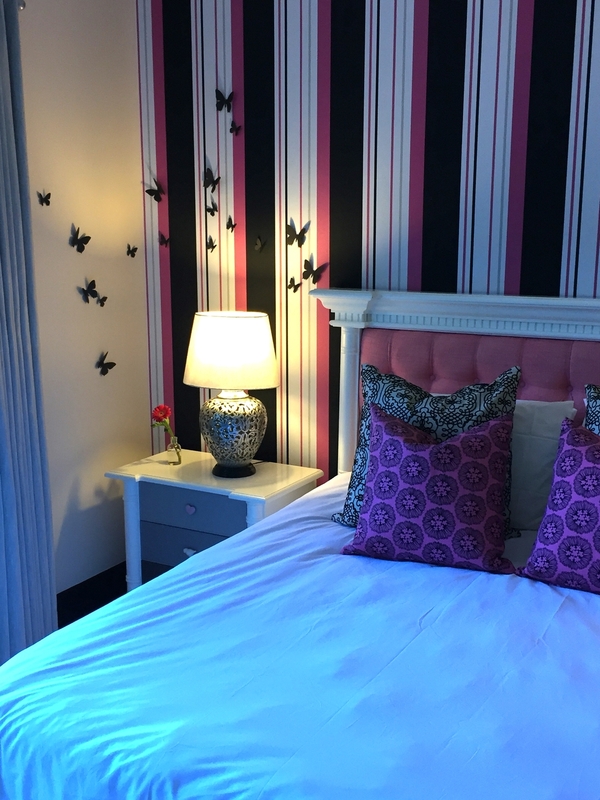 Twin number 1 wanted something more mature and ‘hip’ so we used a bold black and pink stripe wallpaper to set the tone. 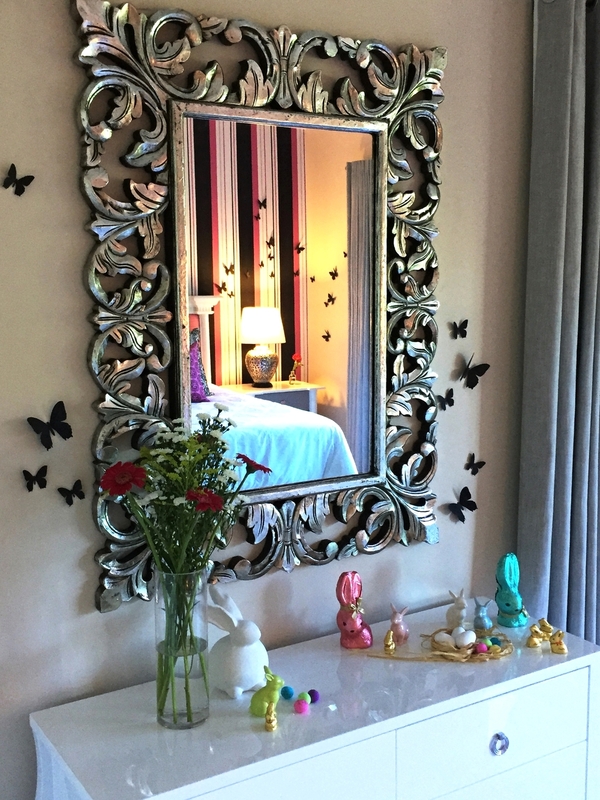 We up-cycled existing furniture by having it repainted and added some 3D butterflies to create some interest.